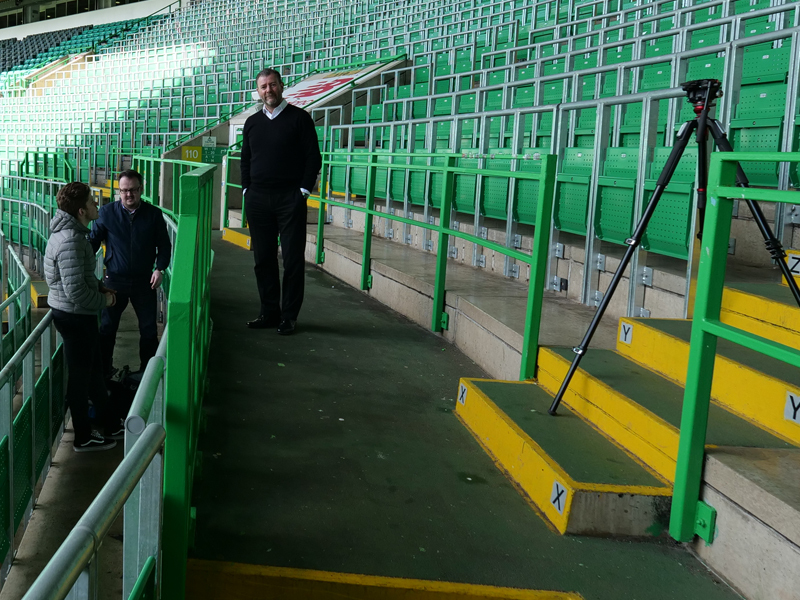 Recently we produced a 3 camera interview at Celtic Park with Celtic supporters liaison officer John Paul Taylor. We used two GH5s set to 4K 50p and a wide shot from the FZ2000. The final production was produced on an HD timeline taking advantage of the 4K footage for cut in shots. Slightly bizarre framing here guys! Why the use of negative space? How come we don’t see Scott asking the questions? HDW : I didn’t mind the framing plus camera 2 was down below the chap on camera left so I also wanted to avoid crossing the line, remembering the article was all about the standing area. Scott did not want to be filmed, not my choice. HDW, I like the shoot, gives good insight on the relationship between fans and club. That’s pretty special, most clubs these days only see fans as numbers in the column of a spreadsheet. What did you use to edit the 4K footage? Or did you down-sample to HD and then edit? HDW : Thanks, The FZ2000 was shot in HD as we fully intended to edit in HD. The 4K footage allows us 2 shots to reframe on an HD timeline.